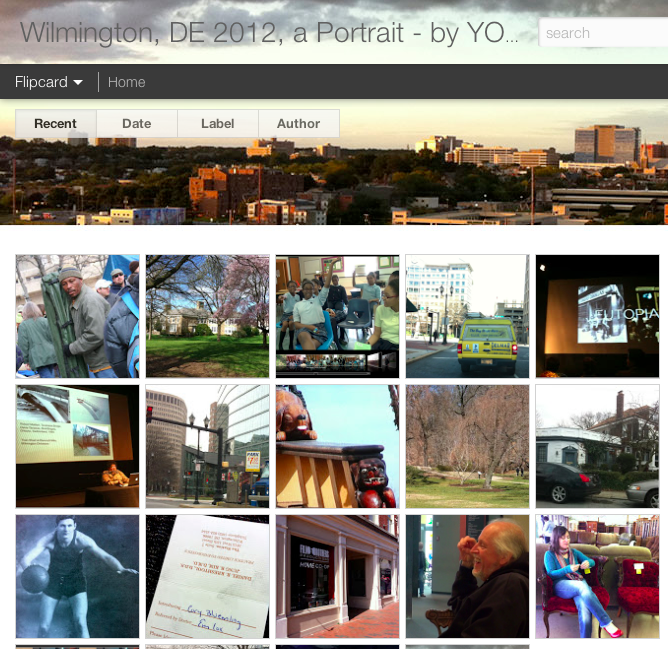 Wilmington, a portrait by you, consists of interviews with residents of the city of Wilmington, Delaware. The project began as a one-month open-to-the public set at the Delaware Center for Contemporary Art in 2012, but is now ongoing, a multi-voiced, growing archive of individuals' views of the city, which taken together form a living, changing portrait of place. Interviewees are asked to select an object that in some way represents the city for them; a discussion of that object is the starting point of each interview. To participate, email Emily. The project is open to anyone with a connection to the city.